Download, rate and subscribe here: iTunes, Spotify and Stitcher. 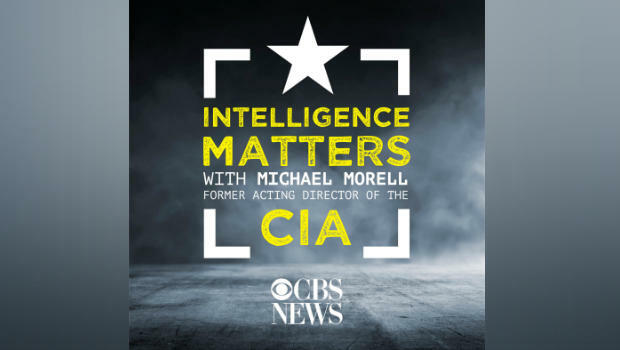 "Intelligence Matters" is a weekly podcast about national security and policy hosted by former CIA Acting Director and CBS News national security contributor Michael Morell. Each week, users can listen to conversations between Morell and some of the world's leading intelligence and national security officials and experts. The podcast, which launched in 2017, was previously produced in partnership with The Cipher Brief, a website dedicated to national security topics. In this episode of Intelligence Matters, host Michael Morell speaks with former career CIA official Meroe Park, who served at the agency for nearly three decades in a variety of roles -- including analyst, executive assistant to former director George Tenet, chief of payroll and, most recently, chief operating officer. Park was also acting director when President Trump made his first visit to and speech at the CIA in January 2017. She recounts the last-minute preparations for his appearance and explains why the backlash to Trump's controversial speech missed part of the story of his visit. She also discusses the CIA's efforts to boost diversity and demonstrate effective internal leadership. Jun 19 | James Clapper on internal and external threats to the U.S.